This is how virtuoso guitarist Oz Noy describes his intoxicating blend of jazz, funk, rock, blues, and r&b. Born in Israel, Oz started his professional career at the age of 13 playing jazz, blues, pop and rock music. By age 16, he was playing with top Israeli musicians and artists. By age 24, he was one of the most established studio guitar players in the country. Oz was also a member of the house band on Israel’s top-rated television show for more than two years. Since his 1996 arrival in New York, Oz has made a huge impact on the local and international music scene. His unique and intoxicating style has broken all the rules of instrumental guitar music by focusing on the groove. All-stars such as Keith Carlock, Anton Fig, Vinnie Colaiuta, and Dave Weckl often contribute on drums, with bassists Will Lee, James Genus, and Reggie Washington. In 2003, Oz released his debut record – “Oz Live” – recorded at NYC’s legendary Bitter End. In 2004, Oz signed with Magna Carta Records and in 2005, released his highly-acclaimed studio record “HA!” with his all-star band featuring Fig, Carlock, Lee and Genus plus special guests Mike Stern and George Whitty. In April of 2007, a licensing deal with Magna Carta and Japanese label Videoarts opened the door for Oz’s music in Japan. Later that year saw the release of “Fuzzy,” Oz’s third record under the Magna Carta label. For Fuzzy, Oz’s all-star band is joined by various special guests including Colaiuta, bassist Jimmy Johnson, and keyboardists Whitty and Jim Beard. September, 2009, saw the release of Oz’s fourth album, “Schizophrenic,” featuring Lee, Fig, Carlock, Weckl, Ricky Peterson, Chris Palmero, and special guest Steve Lukather. In November of 2011, Oz released his fifth studio album “Twisted Blues Vol. 1” Featuring Vinnie Colaiuta, Anton Fig, Chris Layton, Will Lee, Roscoe Beck , John Medeski, Jerry Z, Reese Wynans, Ralph Macdonald and special guests Eric Johnson & Allen Toussaint. In late 2012, Oz released his two highly acclaimed instructional DVDs,”Guitar Improvisational Workout” and “Play Along Workout”, released by jazzheaven.com . May of 2014 saw the release of Oz’s 6th studio album “Twisted Blues Vol. 2” featuring special collaborations with: Chick Corea, Allen Toussaint, Eric Johnson, Warren Haynes, Gregoire Maret, Greg Leisz, Dave Weckl, and John Medeski. The album featured the help of a stellar backup band featuring Keith Carlock, Anton Fig, Chris Layton, Will Lee, Roscoe Beck, Jerry Z and Reese Wynans. In March, 2015, Oz released his 7th album “Asian Twistz” featuring Dave Weckl & Etienne Mbappe. The live album was recorded during a tour in Asia during the summer of 2014. April 2016 Oz Release his 8th studio album “Who Gives A Funk” Featuring very special guests Joe Bonamassa, Robben Ford, Dweezil Zappa, Fred Weasley, Chris Potter, John Medeski & Corey Glover. Sept 2017 showed the debut release of “Ozone Squeeze” , Oz’s new band featuring Atlantha Drummer Darren Stanley & Australian Keyboardist, vocalist Rai Thistlethwayte. March 2019 Oz Release his 9th solo Album “Booga Looga Loo” Featuring Drummers-Steve Ferrone, Vinnie Colaiuta and Dave Weckl, Bassists-Will Lee, John Patitucci and James Genus, Keyboardists- Jerry Z and Brian Charette with special guests- Anne Drummond, Kevin Hays and Seamus Blake. 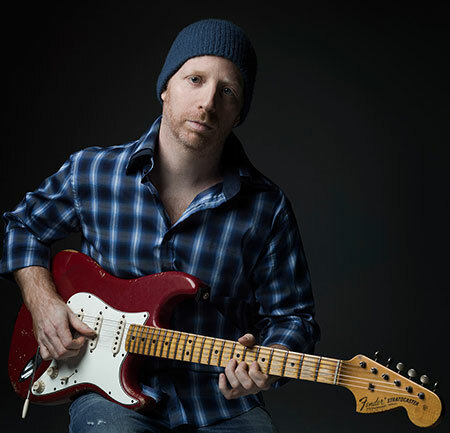 For his accomplishments as a trend-setting guitarist, Oz won the highly acclaimed Guitar Player magazine readers poll for “Best guitar riff on a record” (2007), “Best new talent” (2008), and “Best out there guitar player” (2013). Oz’s success both as an artist and an instrumentalist has built demand for him as an instructor. 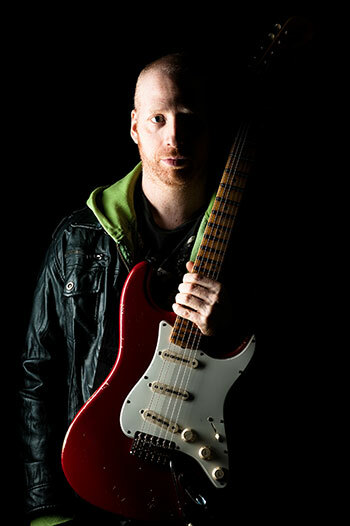 In 2011, he released two Instructional videos for Jazz Heaven, entitled “Guitar Improvisational Workout” and “Play Along Workout.” since 2015, Oz released three instructional videos for My Music Master Class (MMMC) entitled “Unlocking The Neck” , “Blues, Bends and Beyond” and “Effects On The Gig”. He also released four videos for True Fire, entitled “Improv Wizard”, “Essentials Funk Rhythm Guitar”, “Twisted Guitar-Blues Soloing” and “Twisted Guitar- Blues Rhythm”. Oz also conducts periodic master classes at The Collective School of Music (New York City), Musicians Institute (Los Angeles), and others. Say What! // Oz Noy - HA! Hey You // Oz Noy - HA!